Technology at Tararua College has been heading outdoors for inspiration. 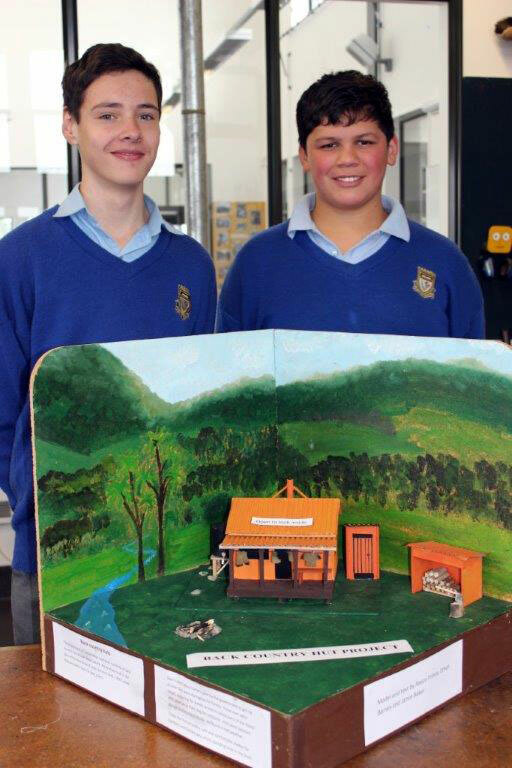 With two Forest Parks in their backyard, filled with DOC backcountry huts, Year 9 students at the college decided to research these huts and build their own miniatures as part of their Technology learning. The first hut the students researched was Iron Gate Hut in the Oroua Valley, on the western side of the Ruahine Range. 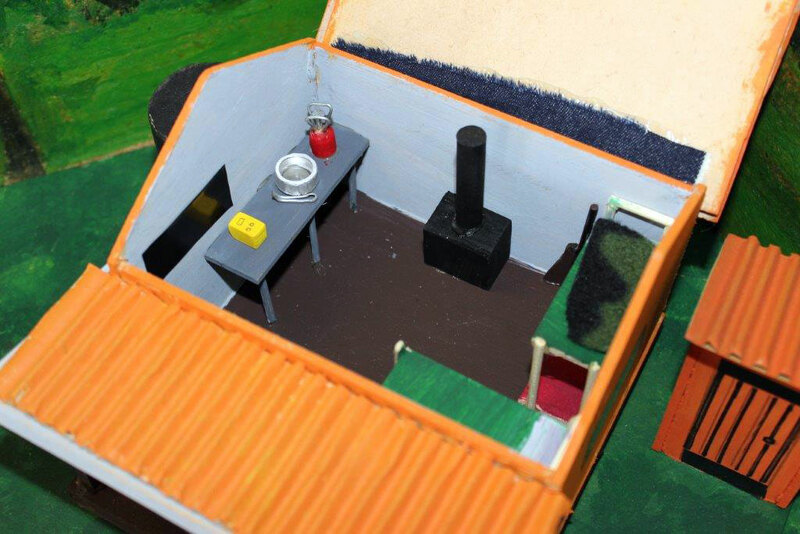 Using photos and research from the internet, the boys painstakingly recreated objects such as a mountain radio, bunks inside the hut, a watertank, and an axe and woodblock outside. The attention to detail is impressive. 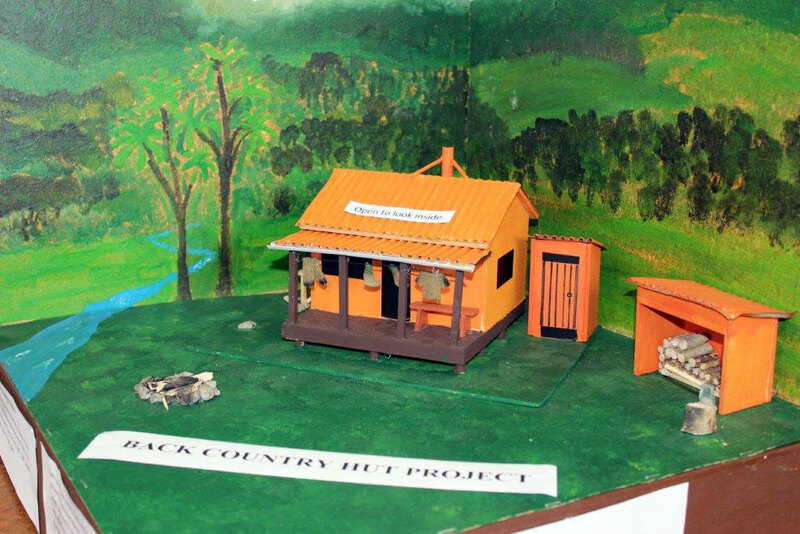 Year 9 student, Jamie Baker, says the project has made him keen to visit DOC’s backcountry huts, and he enjoyed gathering the small resources, such as twigs, that were required for the project. Ethan Barnes is particularly proud of the miniature axe that was made of aluminium and filed into the correct shape before being attached to a tiny handle. A favourite feature for me is the woollen clothing hanging on the lines at the front of the hut. As can be seen in the photos below, the students also provided written information about the deer culling origins of many of the huts in the Ruahine and Tararua Forest Parks. Their teacher, Tim Swale, looks outside the square when it comes to directing the students towards relevant and interesting projects, at the same time building awareness of the excellent recreation opportunities to be found in our Forest Parks. It is always exciting to see students engaged in learning they enjoy and can be proud of. Nina is a Partnerships Ranger based in Palmerston North who has worked in conservation for more than twenty years. She has a passion for our natural environment and loves exploring the outdoors, especially with her family. This is a great story, and a wonderful effort by the two students. Would it be possible for me to use your blog and pictures in the March 2015 FMC Bulletin? I really like running positive stories like this, and would of course ensure you in your position as a partnerships ranger are credited. Thanks for your great feedback. It will be great to have the story spread wider, the boys did such an awesome job.